Call it the S-word: surgery. When it comes to your teeth, it means more than just having a cavity filled. If your dentist thinks you may benefit from oral surgery, you’ll have a lot of questions. What’s in store for you? If you choose Dr. Nima Massoomi in San Francisco or Cupertino, CA as your oral surgeon, the following is a basic outline of what you can expect. This is pretty typical for most oral surgeons, too. As with any surgery, the first step is a consultation. 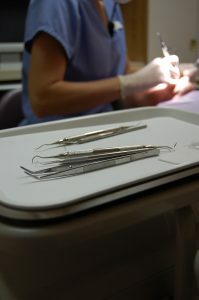 Together, you and the oral surgeon will review your medical history and talk about the reasons for the procedure. There will probably be a visual examination, and you’ll find a date that works for both of you. Dr. Massoomi will discuss and also provide you with written pre-operative instructions on how to get ready for the day of surgery. Additionally, based on your condition, you may be provided with some prescriptions to pick up medications from a local pharmacy. Lastly, along with the prescriptions, you will discuss and be provided written post-surgical information. If you are going to be sedated, then you will probably be instructed not to eat or drink anything for at least 6 hours prior to surgery. In some special circumstances based on you condition and age, you may be allowed to drink clear liquids all the way up to 3 hours prior to surgery – then nothing afterwards. This is an important safeguard to minimize the risk of aspiration during the surgery. Because you will be sedated, you will also need to arrange for a ride home after your surgery, since even the mildest of anesthesia can impair your judgment and motor skills. Just taking Lyft or Uber will not suffice, as a responsible adult has to accompany you home and even to the pharmacy to possibly pick up additional prescriptions. Once the surgery is complete, the surgical site will feel numb. This is due to the local anesthesia that is intentionally provided during the surgery to ensure that you do not have pain afterwards. If is really critical that you start taking the prescribed pain medications before the numbers wears off which is sometimes a few hours after surgery. When most patients present back for their standard one week post-operative appointment, they state that they were only “sore” and did not experience too much pain. The reason for this is preventative treatment of the upcoming pain with pain medications before the numbness wears off. Even though over-the-counter medications can usually suffice, you will be provided with stronger pain medications just in case the over-the-counter pain medications are not enough. It’s easier to prevent pain than to get rid of it. Ice packs will also be provided to you to help prevent the oncoming swelling and pain. It is really critical to wear the ice-packs for the first 2 – 3 days to prevent the swelling which usually maximizes around the third day. You will need to take it easy for a couple of days. This is one time when it’s okay to be a couch potato! Be sure to follow all of your surgeon’s instructions. By doing so, you’ll recover more quickly, and hopefully prevent any complications so that you can get back to doing the things you enjoy. If you think you may need oral surgery, call Bay Area Surgical Arts today at 415-813-6400 in downtown San Francisco or 408-253-6081 in Cupertino to schedule a consultation.